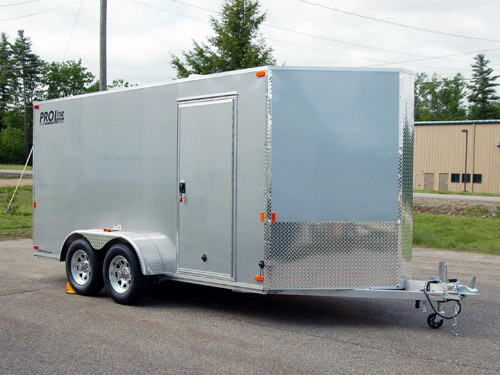 We’ve made our best towing trailer even better. 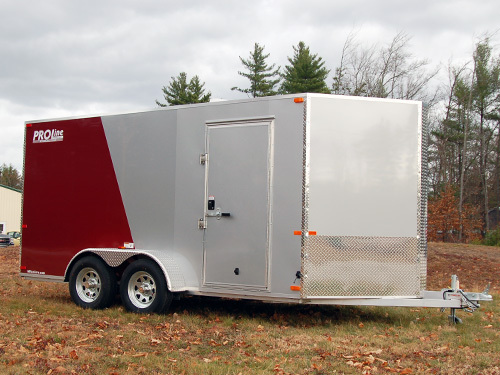 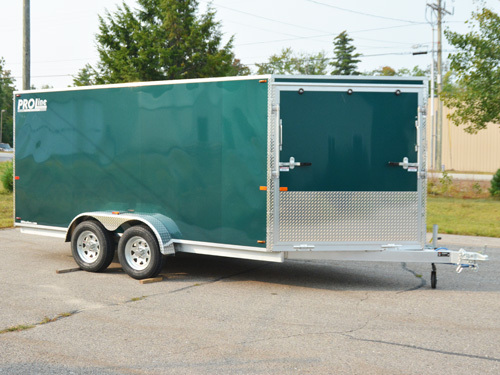 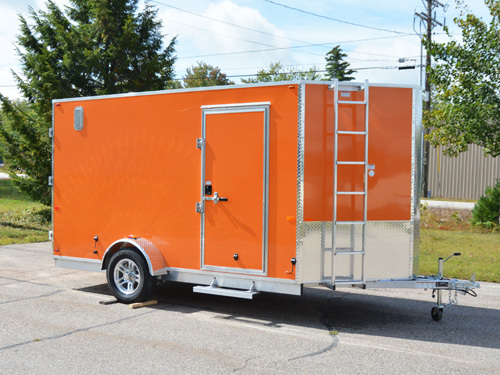 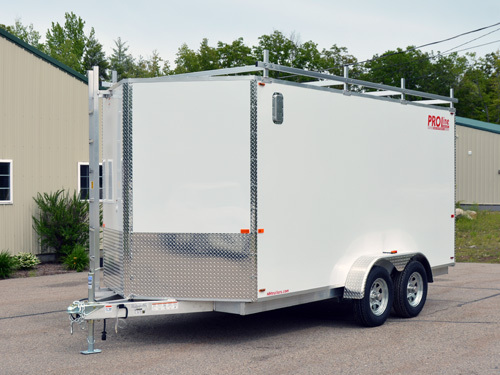 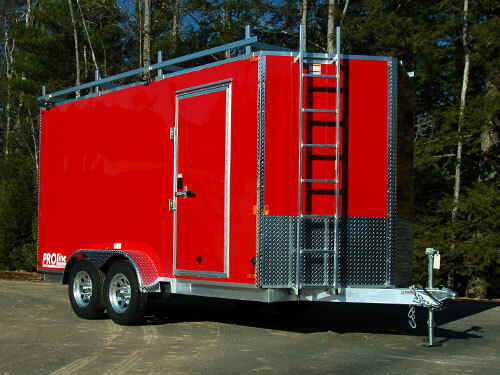 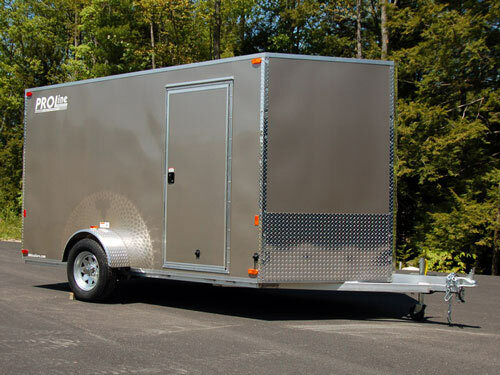 This in-line, staggered design, 7′ wide enclosed trailer can accommodate snowmobiles or motorcycles! 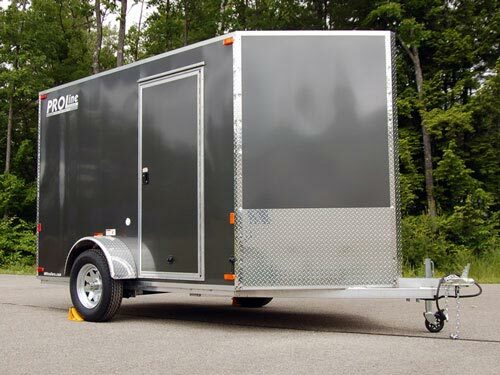 A lower deck height than our standard inline 7′ wide trailer means you don’t have to worry about dragging that precious paint of your bike and a 6’1″ interior height means you get a taller ramp door to ease that loading angle even more! 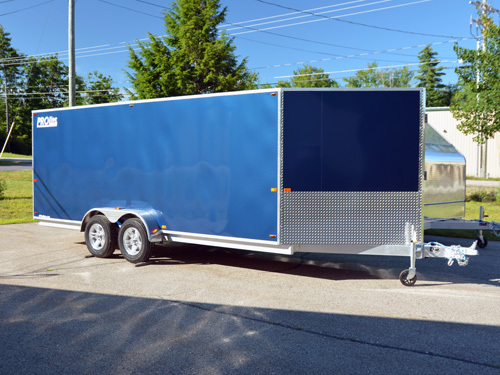 This trailer has a drive on rear ramp door with spring assist, full stone-guard aerodynamic front, and 15″ radial tires on galvanized rims. 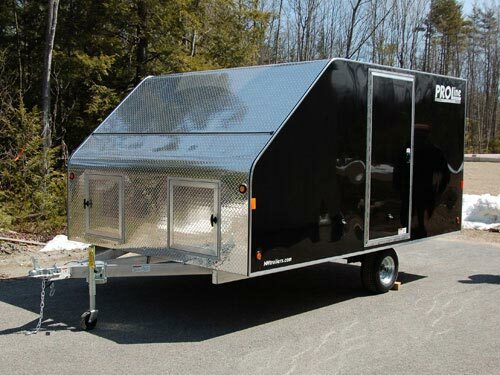 The .030 screw-less aluminum sidewalls and seamless aluminum roof will stay looking sharp for years and the five full length tie-downs rails welded to the frame allow for the ultimate versatility for tying down your toys, LED trailer lights, tongue jack, 2″x 5″ tube main frame, 2″x3″ tube floor cross members on 24″ center, wall uprights and roof cross-members on 16″ center create an incredibly rugged enclosed trailer that is easy to haul! 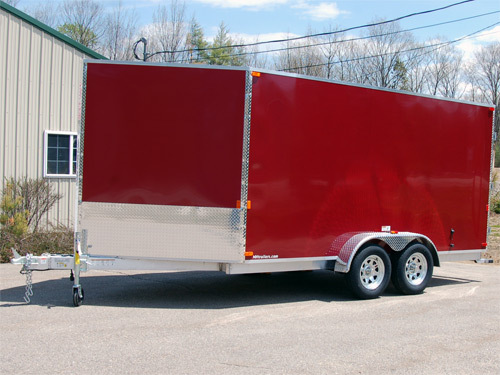 2"x5" Main Frame Heavy Duty 2"x5"